Each year during the summer season, I try new recipes for jam and pickle or I rediscover something I was making with my grandmother Adele in Burgundy. 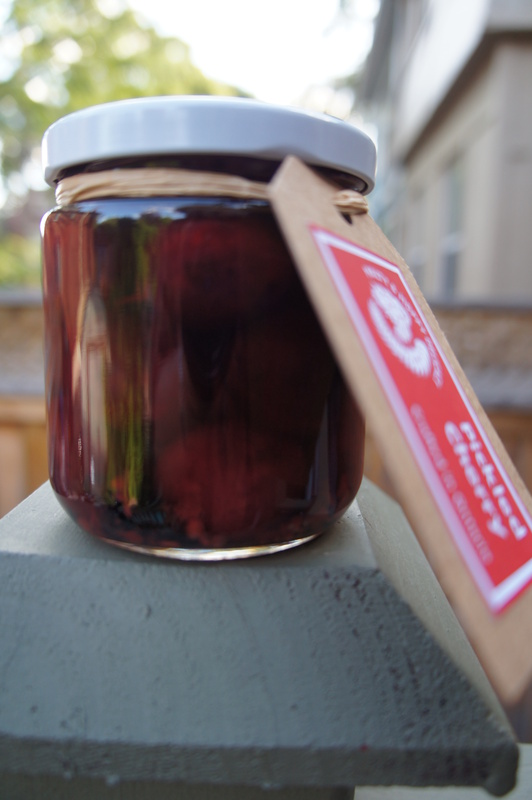 This year, because of my cooking class, I have decided to make pickled black cherry. Never made it, never eat it! This is a premiere. Easy to prepare – less than 30 minutes. 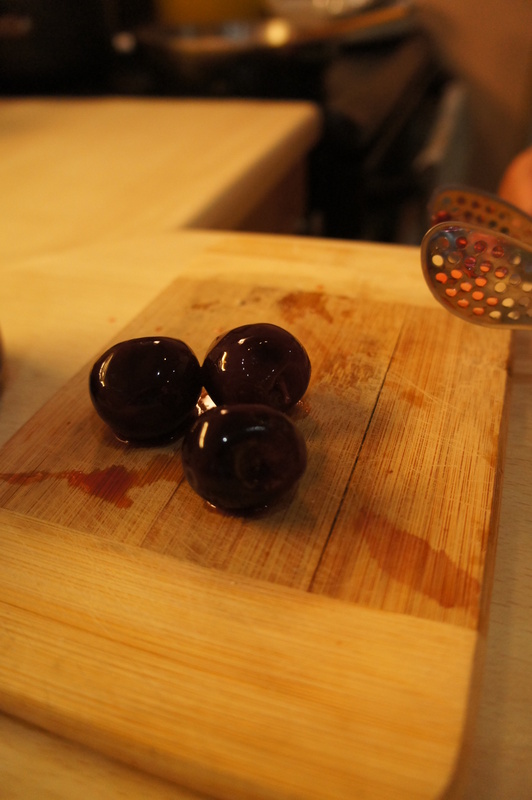 You can choose the spices and aromatics that you would like to infuse your cherries with. However, you need to be patient , at least one month (better two months) before to open the jar and enjoy this treat with pâté, cured meat and local artisan cheese, or mix into stuffing and pie fillings, or add to a rich sauce made with wine or beer, or in a salad like us (recipe will come next in my blog). It needs some time to be able to develop its full potential of flavours and be ready to tickle your taste buds. This is also the perfect gift for Christmas or when you go visiting friends… add a nice cheese, a bottle of wine or a pack of craft beers, a nice artisan bread or some crackers. The perfect combination for an impromptu culinary experience. 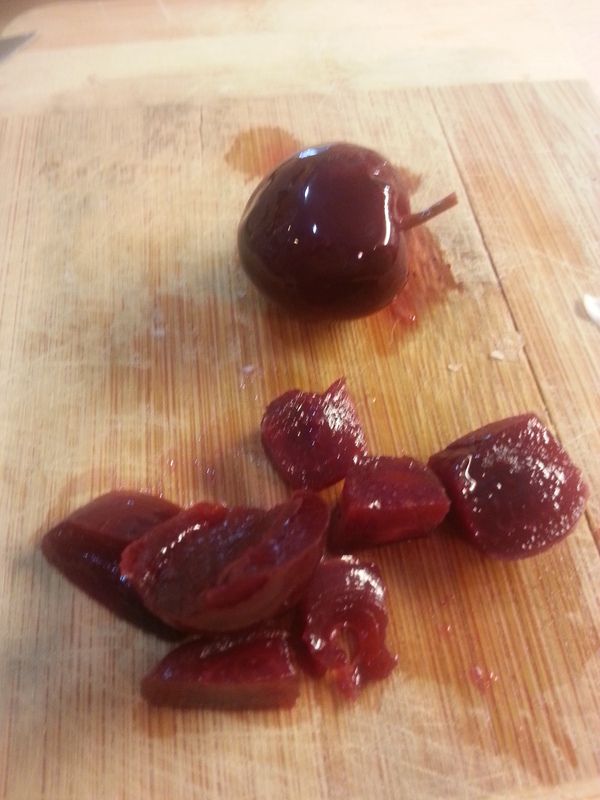 Wash the cherries as described previously (20 to 30 minutes in 10% white vinegar solution) and pat dry. Cut the stems to keep 1 inch, and don’t remove the stones as these add flavour to your finished product, just remember to warn guests about the pits. Wash the seals (or lids) and jars in hot soapy water and rinse well. Set the seal aside in simmer hot water and place the jar in the oven on a moderate temperature (about 200 F degrees) for 10 minutes. Bring the first 10 ingredients to a boil in a medium stainless-steel saucepan, stirring to dissolve sugar. Reduce heat to medium; simmer 5 minutes. Add cherries and rosemary to saucepan. Simmer until cherries are tender, it will take 3-5 minutes. Transfer cherries and rosemary to 250 ml jars. Pour in enough pickling liquid to cover cherries. Seal the jar straight away and chill, and leave for 2 months before eating. Will keep in a cool, dry place for up to 1 year. Once opened store in the fridge and eat within 3 weeks.